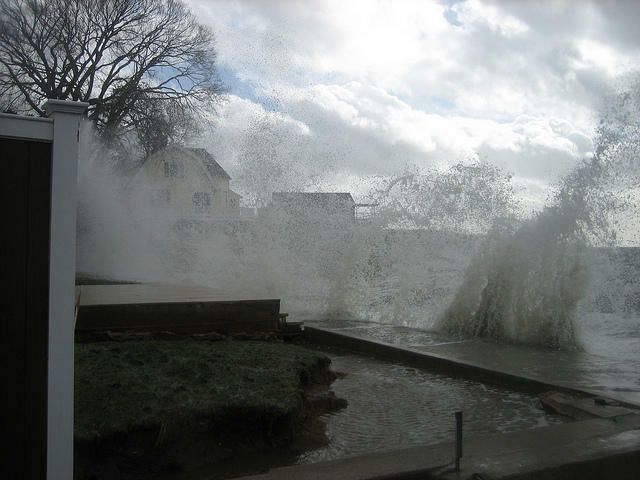 Sandy slammed into Connecticut this week in 2012. This week marks one year since Superstorm Sandy slammed into the northeast, causing deaths, destroying homes and businesses, and reshaping Connecticut’s shoreline. The storm also caused leaders to rethink our response to major environmental events. Local officials are trying to figure out effective ways to plan for the next set of storms. Mark Boyer, Board of Trustees Distinguished Professor at the University of Connecticut’s Center for Environmental Sciences and Engineering, talked with WNPR's Diane Orson about some of the big takeaways. Diane Orson: What have we learned, or what are we still learning, post-Sandy? Mark Boyer: That’s a huge question. I think the answer is we don’t know everything yet. I think we’re starting to get a sense that there are many different publics out there regarding storm resilience, storm impact, climate change; the list could go on. I’ll just give you a couple of examples. If you look at local town managers: the need for some kind of ability to better adapt, and confront storms in the future, and climate change adaptation more generally -- whether it's sea level rise, storm surge, those kinds of things -- is imminent. They have to deal with it. They know this is an urgent problem. Clearly, the mogul storms of the last couple years have sensitized them very directly. Then you get others: beach real estate holders who don’t want to hear anything about it, because that's what they do in the summer time, and they want to stay there. They want to rebuild, and they want to do it in a way that is amenable to their own aesthetic value, and there’s nothing wrong with that. But that often runs counter to what you might say is good storm management from a public policy perspective. You have looked at what's taking place in some of the towns and cities across Connecticut. Can you talk about that? With my research team, we’ve been doing a lot of work looking at town policies regarding climate adaptation. This is not just coastal towns, but around the state of Connecticut: everything from inland towns having to deal with storm water management, to the coastal towns, who have the much more urgent and demonstrative needs of the storm surge that just blitzed the coast. I think you’re seeing a pretty wide variation across those towns, dealing with trying to move some of the coastal residences back if they can, although that notion of retreat is very much a political hot potato. You’re seeing a real demand on the part of town managers, town planners, other local officials to try to figure out effective to ways to try to plan for the next set of storms, and sea level rise more generally, in the face of really constrained budgets. There are lots of stakeholders looking at these changes from varying points of view. Is there a way to talk about the most important lesson in general? If you get down to the people who really know what's going on with climate adaptation, probably the biggest thing that's on their radar is planning and coordination. They know that what's happened to date has basically been crisis-to-crisis decision-making. The reason we have all this attention over the past couple years is because of all the storms, but that's not really an adequate planning scenario. So that need for planning among towns, and the state, and the region for that matter, getting information and having it facilitated by DEEP and other state and federal agencies, is a huge, huge need. The state will establish a loan fund for shoreline residents who want to raise their homes out of the flood zone. Thousands of shoreline homes and businesses were damaged or destroyed by flooding just one year ago, during Superstorm Sandy. And for many, that was a second time around, after Tropical Storm Irene the year before. As they contemplate the first anniversary of super storm Sandy, some shore dwellers have given up and moved inland. Others are still determined to rebuild and continue. One shoreline restaurant is about to embark on its second major comeback. Is Rebuilding Storm-Struck Coastlines Worth The Cost? One year ago Tuesday, Hurricane Sandy bore down on the East Coast, devastating shoreline communities from Florida to Maine. Many of these areas have been rebuilt, including the Long Beach boardwalk, about 30 miles outside New York City. 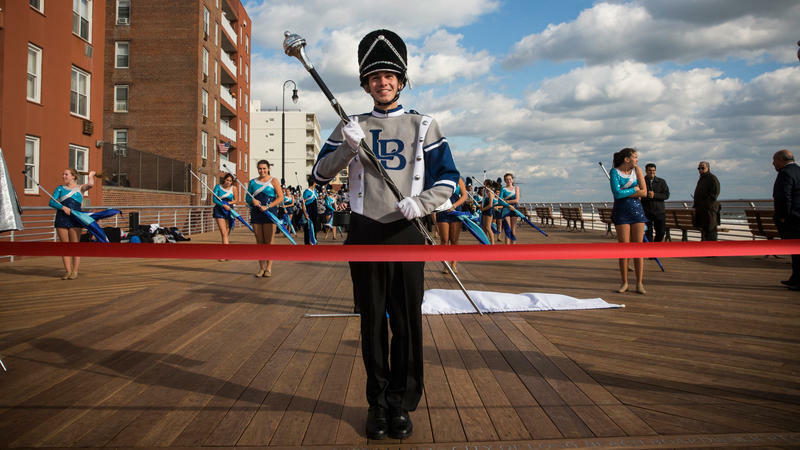 Officials held a ribbon-cutting ceremony for the new boardwalk Friday. Ninety percent of the funding for the restoration came from the federal government. The Federal Emergency Management Agency paid $44 million to repair the devastation.